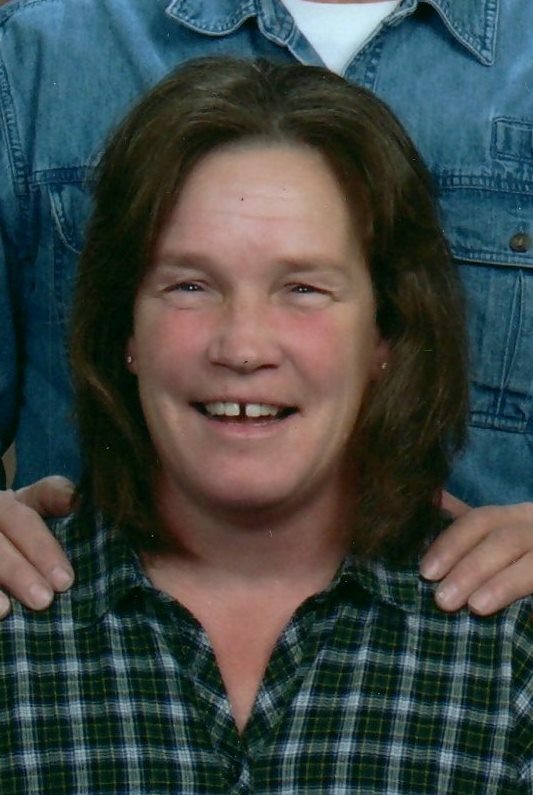 Jolie M. Dinsmoor, 51, of Marion, formerly of Richwood, died Friday October 19, 2018 at the OSU Wexner Medical Center, following a 10-month battle with cancer. She was born February 16, 1967 in Cincinnati to Charles and Mary K. (Cooper) Stone. Jolie was a 1985 graduate of the North Union High School. She worked at U.S. Yachio in Marion for the last 17 years. Jolie cared deeply about her loved ones, always putting family and friends above herself, she was selfless to a fault. She loved the outdoors, spending most of her time perfecting her garden and keeping her flower beds tidy during the summer and especially happy when the holidays came around and the first snow fall hit. Devoted herself to life on the farm and taking care of her beloved animals. Jolie will be remembered for her infectious smile and laugh and positive light. She had a strong faith. It was truly a blessing to have worked with Jolie for 17 yrs and even more to have called her my friend. She will be missed beyond measure. My thoughts and prayers are with her family. Sorry to hear of your loss. May God’s peace be with you. So sorry to hear this about Jolie. Being a former classmate she was always happy and laughing. She will be missed. Rest in Peace Jolie. I met Jolie working at American showa in Sunbury. Joel was just a little tyke then, a little older than his own children are now. We became good friends and I will forever miss her sunny spirit and peaceful countenance. Much love and prayers to you all! Joel and Sami - we are saddened at the loss of Jolie. Hold tight to the love she had for you and the memories and she will always be with you in your heart. Our thoughts and prayers are with you. We want to express our sympathy for your loss. Thank you for understanding why we can not be there. Your in our thoughts and prayers. Good bye to my very good friend I will miss you. Wish we could of had 1 more drink together. She will be greatly missed! Loved our times as neighbors and friends. My thoughts are with you all! I am so happy to have known Jolie. I have some great photos of us, with Donna and Sheri Knapp , eating Ice Cream in Amish Country - and we're spluttering with laughter. And last year, when the girls took me to a wine bar (Jolie, Donna and Sheri) - and again, we had a wonderful, laugh-a-minute time. Whilst an ocean may separate us, my thoughts and prayers are with all of Jolie's family. Our sincerest condolences to all. Praying the memories will bring you peace in the upcoming days. Rest in peace Jolie .You will be missed by many always remembering you as that little girl out on the "Herb Farm" helping your beautiful Mother.We are so sorry and express our condolences to all of those that loved her. So sorry for your loss. I was in Jolie's class. We even worked together at the dairy bar by the grocery store while in school. So many great memories. Words cannot express my sympathy and sorrow for all. She was a wonderful neighbor,kind and caring. You could see her jogging down the road at all times of the day and was the hardest of workers wanting things beautiful and pristine even push mowing her yard !She was a good mom and friend and loved her kritters !Rest in peace gal you fought a hard battle and to the family hold tight to each other and may God comfort you as you grieve. We love you and are here if you need us. Jolie and I shared the summer of 85 inseparable. Jolie and I even had our first child within minutes of each other in 1991. Jolie's energy was contagious and she just loved life. I looked up to her free spirit, and see that she made a wonderful life with friends and family. We lost touch years ago, but have thought of her quite often. My fondest memory is driving around in her civic deciding which cassette to play (she had hundreds) and often choosing YES or SCORPIONS. May you be comforted as a family having such a wonderful person in your life. My thoughts and prayers are with you. Praying that your beautiful memories help you in the days ahead. Jolie was a person I enjoyed working with and being able to call upon for any task. She always brightened when talking about her family including her “Furry” kids! Her children were always a shining point to her life. “Joles” will be fondly remembered. I had the pleasure of working with Jolie for many years at the Yach. You were an inspiration to us all. You will always be greatly missed. Fly high my friend! Our sincerest condolences for your loss. Our thoughts and prayers are with you and your family. Joel and Sami, we are so very sorry and so sad about this loss. I met your mom when Joel and Audrey started preschool. I didn't know any others moms and your mom was so nice to me. She reached out. She smiled and she talked to me. Over the years, we crossed paths so many times at events for Joel and Audrey and later Sami and Darren. One thing I could count on was your mom being kind to me. Her laugh warmed me. Her smile relaxed me. She is nature and beauty and strength and goodness. Please, you two, be close to each other. Be there for each other. Our love and our prayers to you both. I met Jolie years ago when our boys were younger and had the same babysitter. My son spent alot of time at her house on Sandusky. One of the nicest ladies I have ever met. Sending thoughts and prayers to everyone. I would like to send my condolences to the family of Jolie Dinsmoor. I am sorry for the loss of your sister, daughter, mother, grandmother, and friend. JW.org - publications- magazines No.3 entitled 'Help for Those Who Grieve' provides comfort for you and your family.